It was a culinary journey like no other: Over the course of 195 weeks, food writer and blogger Sasha Martin set out to cook—and eat—a meal from every country in the world. As cooking unlocked the memories of her rough-and-tumble childhood and the loss and heartbreak that came with it, Martin became more determined than ever to find peace and elevate her life through the pr It was a culinary journey like no other: Over the course of 195 weeks, food writer and blogger Sasha Martin set out to cook—and eat—a meal from every country in the world. As cooking unlocked the memories of her rough-and-tumble childhood and the loss and heartbreak that came with it, Martin became more determined than ever to find peace and elevate her life through the prism of food and world cultures. 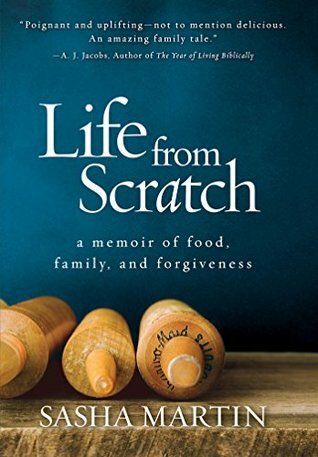 From the tiny, makeshift kitchen of her eccentric, creative mother to a string of foster homes to the house from which she launches her own cooking adventure, Martin’s heartfelt, brutally honest memoir reveals the power of cooking to bond, to empower, and to heal—and celebrates the simple truth that happiness is created from within.